We are always looking for fun, energetic individuals with the ability to produce WOW to join our team! Please submit an application so we can contact you if an appropriate position becomes available. Applications may be submitted to a manager in the park. We are looking for enthusiatic individuals looking to give excellent customer service! Most part-time team members join our team as court monitors. This gives everyone the opportunity to get comfortable with our team, rules, and delivering incredible customer service. From there, we evaluate your skill levels and potentially move you to a concessions or cashier position! Pay attention to the court at all times and be interactive with the participants. Book, confirm, and check-in events. Event Coordinators provide superior customer service for all guests and work consistently towards goals set to generating new business for Sky Zone Plainfield. Open weekday morning, weekend, and holiday availability preferred. Sky Zone Plainfield is hiring people with "fun meets fitness" entrepreneurial spirit, a great attitude, ethics, passion, and personality to help make it all happen.If that sounds like you, we want to meet you! We are looking for an Event Coordinator to add to our team! You must have prior success being an effective communicator. You must excel at leading by example, managing time, and not running out of energy. You must be able to work well as part of a team, be held accountable to agreed upon goals, and work outside your comfort zone. Availability: Must be available weekday mornings, rotating weekends, and some evenings/holidays. You should have at least one (1) year of experience working in sales, customer service, or retail. Experience working with children of all ages and their parents preferred. Sales & cold calling experience highly preferred. For consideration, please submit your cover letter, resume, and salary requirements. Imagine working for a company that provides unmatched, out of this world, high-flying ACTIVE FUN for ALL AGES. 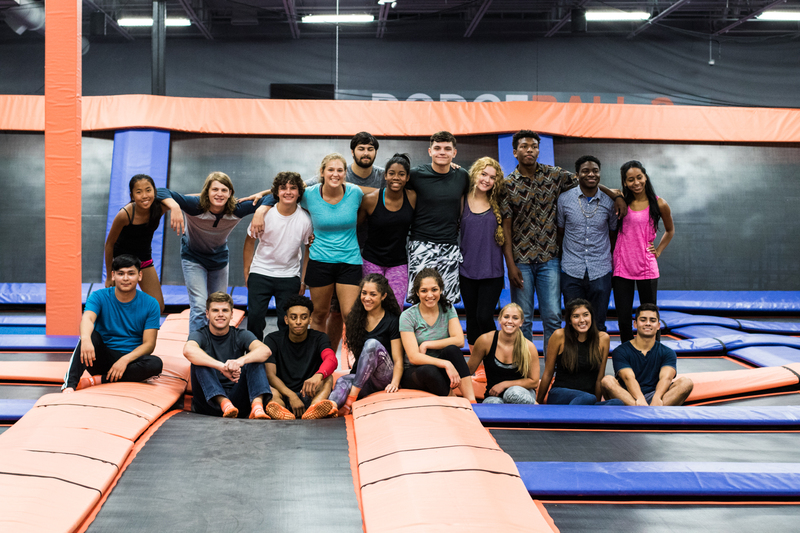 Sky Zone Indoor Trampoline Parks feature a wide array of fun, fit and low-impact activities including Open Jump, Group Events, Birthday Parties, Dodgeball, Sky Slam, Foam Pit, SkyRobics fitness classes, Fundraising Opportunities, and Corporate Team Building Events.